Tony Christopher is internationally recognized as a creator, designer and producer of unparalleled indoor and outdoor themed entertainment attractions. In a career spanning over three decades, Mr. Christopher is responsible for some of the industry’s most noteworthy projects including famous theme park attractions such as: The Adventures of Spider-Man, Terminator 2:3D, Jurassic Park: The Ride, The Adventures of Conan, King Kong, and James Bond: A License To Thrill. A graduate of the California Institute of the Arts, Tony Christopher began his entertainment career as a performer, working on Broadway and in television, with such stars as Liza Minnelli, Goldie Hawn, Howard Keel and Jane Powell. Propelled by his successful performance career, Mr. Christopher worked at the Walt Disney organization creating and managing various live stage spectaculars and attractions before founding Landmark Entertainment Group in 1980. 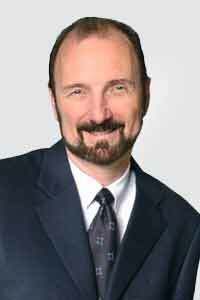 As CEO/President of Landmark, he oversees the day-to-day management and creative output of the company. For the Las Vegas market, some of that output includes Mr. Christopher’s creation and production of award-winning projects including: Star Trek: The Experience at the Las Vegas Hilton, Caesars Magical Empire at Caesars Palace Hotel, the world famous Caesars Palace Forum Shops, The M & M’s Academy and the Venetian Hotel & Casino. As a television producer, Mr. Christopher was responsible for the creation of some of television’s most beloved characters including Captain Power and The Soldiers of The Future, Skeleton Warriors, Precious Moments and Mega Babies. An experienced live entertainment producer and director, Mr. Christopher is a Tony Award® voter and an active member of the League of the American Theater Producers. He co-produced the long running Broadway hits Jekyll and Hyde, Sherlock’s Last Case, starring Frank Langella, and the 1992 Tony Award® – winning Tru, starring Robert Morse. He produced, directed and choreographed the 25th Anniversary National Tour of Jesus Christ Superstar. Touring for four years and grossing over one hundred and forty million dollars, the show established itself as the most successful Broadway revival ever. He also conceived the much acclaimed Las Vegas spectacular for MGM, EFX, a live action stage show starring Michael Crawford, David Cassidy, Tommy Tune and Rick Springfield. For the Venetian Hotel in Las Vegas he conceived the ninety-minute Phantom of The Opera for Andrew Lloyd Weber. The recipient of many industry awards and accolades, Mr. Christopher has received over 10 THEA Awards for outstanding achievement in themed entertainment design. He is also the proud recipient of a Grammy Award® nomination for his direction of Louis Cardenas’ music video, Runaway. As a creative executive, Mr. Christopher’s experience in developing and producing across a variety of entertainment and licensing is unparalleled. His talents and accomplishments can be seen throughout the world and specifically in Asia, where he has produced over a billion dollars in theme park development to date. 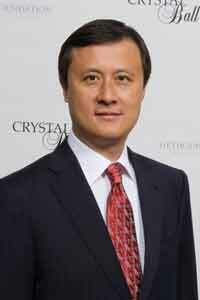 Mr. Jack Z. Chen was the Founder and CEO of Transworld Capital Group. He has over 16 years of experience in managing complicated cross-border M & A transactions that involve Western and Chinese companies. In 2010, Mr. Chen led Beijing-based Pacific Century Motors, a public-private acquisition consortium, to acquire Nexteer Automotive, a major unit of General Motors specializing in steering systems and related technologies, which was referred to as “one of the landmark deals of the era” by the Wall Street Journal in an article on November 8, 2010. The Nexteer Automotive transaction followed the 2009 acquisition of Delphi Corporation’s braking and suspension unit by a similar Beijing-based consortium, in which Mr. Chen also acted as an advisor. Each of these two transactions comprised the largest overseas acquisition by a Chinese company in the automotive parts industry at its respective time. Previously, Mr. Chen was with Barrington Associates, the leading middle market investment banking firm in the Western United States (acquired by Wells Fargo in 2006), where he was the founding chairman of its Asia-Pacific Division. Prior to Barrington, Mr. Chen was president of MTC Direct Inc., a holding company that bought a controlling interest in Micro Technology Concepts, Inc., the world’s largest independent mass storage distributor and a VAR 500 company with over $300 million in revenue. During the period from 1997 to 2000, Mr. Chen invested in, or advised, several dozen companies that covered the following industries: biotechnology, IT, transportation, food and beverage, real estate, hospitality, manufacturing, building materials, automobile and heavy equipment. From 1993 to 1997, Mr. Chen was the Co-Founder and COO of Bestone Investment Group, Ltd., which acquired and took control of Conch Cement, the largest cement company in China, and helped build it into the leading cement manufacturer in Asia. Conch Cement is now listed on the Hong Kong Stock Exchange (ticker: “914.HK”) with over US$10 billion market capitalization. Mr. Chen was appointed International Investment Advisor to Beijing Municipality in March 2009 and was reappointed in November 2010 due to his outstanding contributions to Beijing, as recognized by the municipality’s most senior leadership and leading corporations. Mr. Chen has been a speaker at the Young President’s Organization, USC, UCLA, MIT Business Forum, China Compass Conference, ACG Conference and numerous Chambers of Commerce. Mr. Chen is a Charter Member of the Pacific Council on International Policy and was named one of the top ten Chinese American Entrepreneurs in Southern California by Vivid Magazine in 2007. He was also awarded Outstanding Overseas Alumni of Shanghai Jiao Tong University.